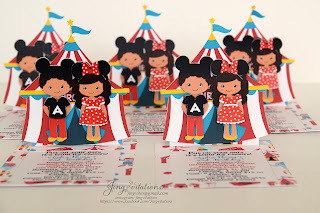 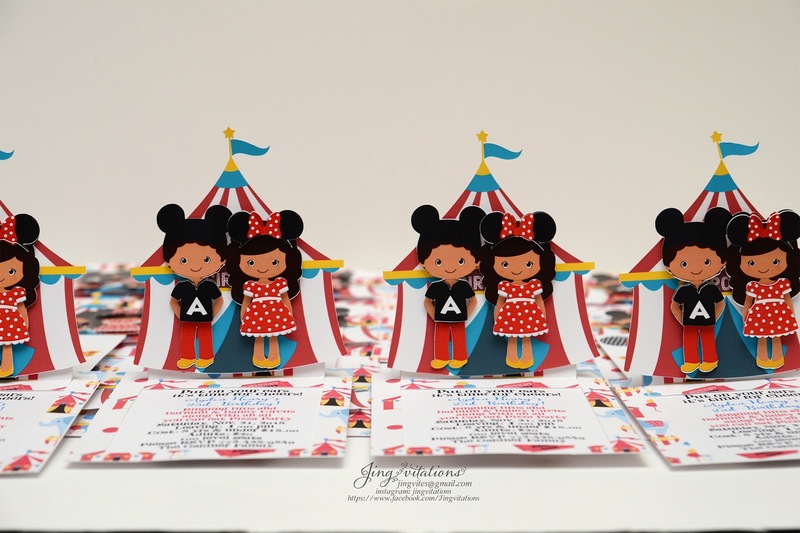 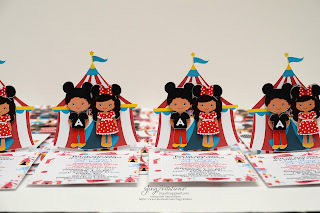 Handmade Circus Mickey Mouse and Minnie Mouse Invitations! 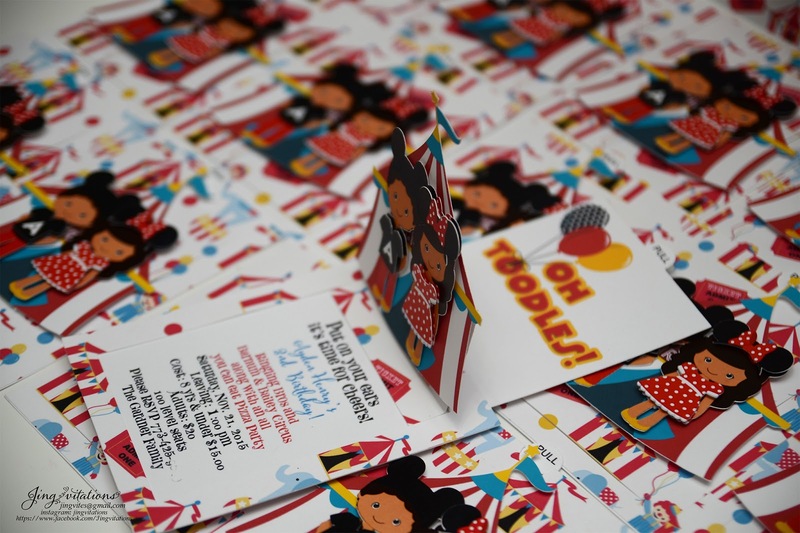 African American Mickey Circus Party Invitations. 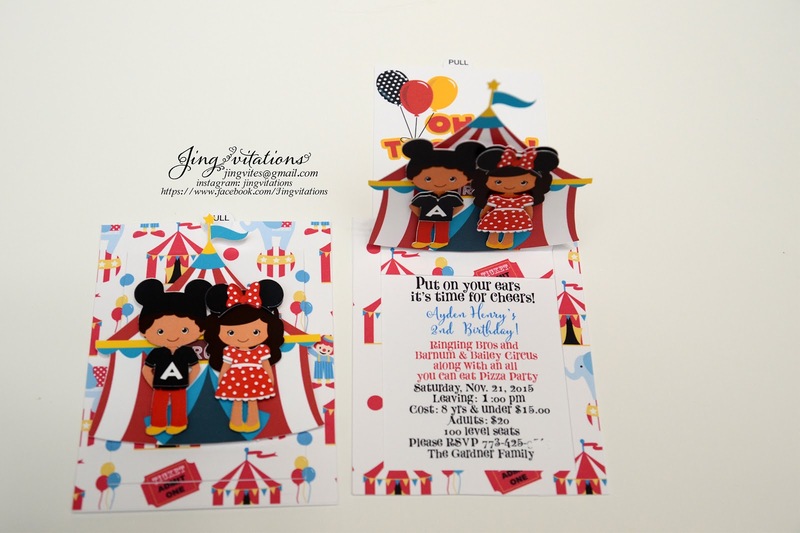 This invitation can be customized. You can pick with only one character or both! 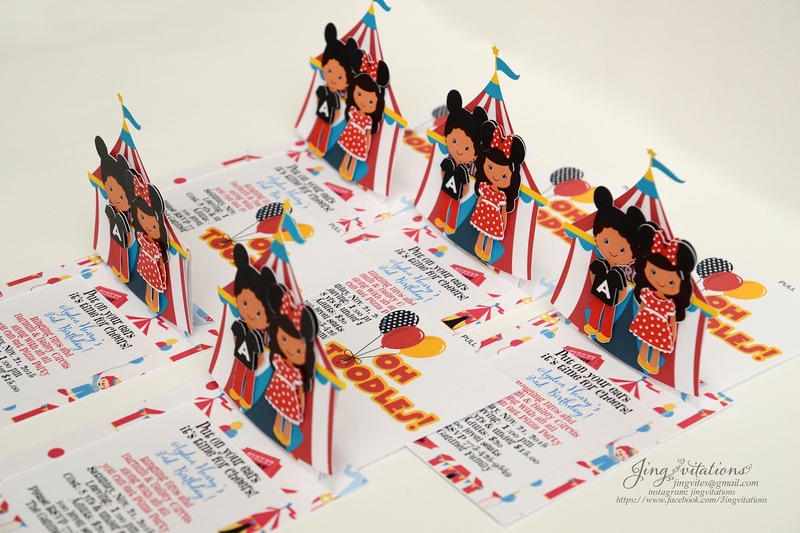 Pop up circus tent with characters in the front. 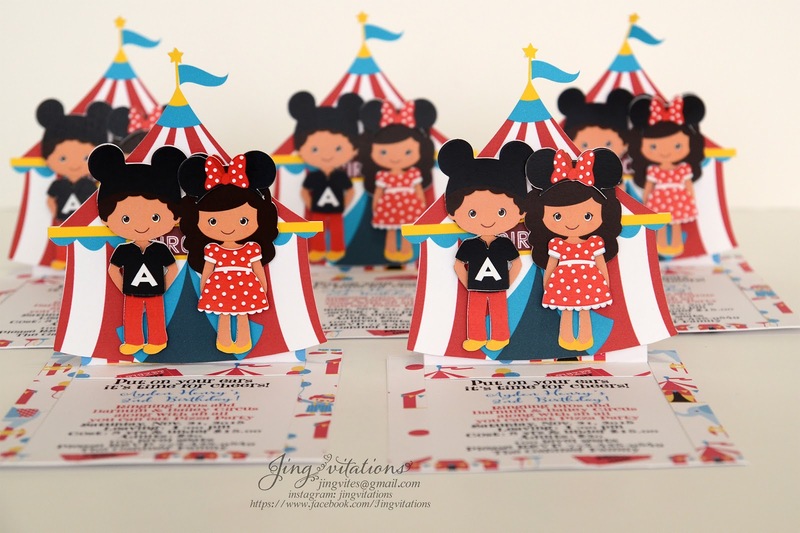 Colorful circus background can be customized too!